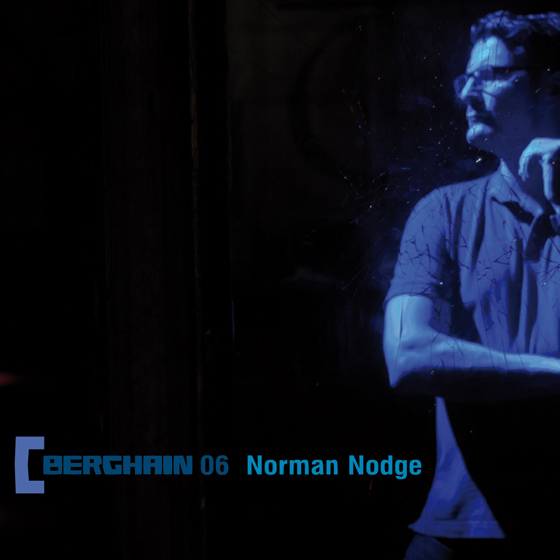 For a person where musical taste and life makes sense when proceeded on his own terms, Norman Nodge has always inspired many, chosing to remain in a less exposed place than a lot of people similar to his… calibre. Simply put, doing what he does best is strictly shown in this sixth installment of the Berghain mix series. Being slotted at early nights, tourist prime times or at any time during the Sundays, Norman always remain eclectic, fast thinking and interesting. This mix CD was apparently live recorded at Berghain at some point, showcasing in a very faithful style how he sounds at his residency. With a brooding atmospheric start off point, Norman paces things up in a excellent manner, where careful yet excellent track selection instantly sets the mood. This mix will surely fit among the ones where mood swings are the come back point—something that has drenched this mix to the fullest. While the atmospheric beginning sets the compass correctly, the totally blurred out line from the beginning until the middle part of the mix creates a tension not too far fetched from the actual club nights themselves. This is probably a lot of the reason for the Berghain mix series, which makes this sixth installment one to keep. Even though the focus is on rough and reduced tracks, they all fall under the same palette of giving away just enough space to keep the pace at a excellent rate. There’s just enough tension all the time, where surprises such as where the next track finishes to leave room for the next, the sense of being truly timeless in a perfect setting hasn’t been this clear for a very long time. ‘Berghain 06’ is released the 22nd October 2012. Hinting a slight lesser dystopian atmosphere as previous ‘Blackest Ever Black’ releases, Vatican Shadow manages to express a even more melancholic 12″, where the darkness still leaves room for hope and light. A interesting side which translates into sparse use of these elements and music that ‘Blackest Ever Black’ stands for, makes the sound more clear and precise, making it into one record that is easily returned to. Opening up with ‘Cairo Sword Unsheathed’, where the Black Hawk helicopter-like sound twirls around some sort of chanting, embraces the atmosphere. Ambient sound textures and haunting samples gives in to the dub-like pace of the track, keeping the low key groove in a very steady structure, where Fernow’s expertise in handling sounds really comes out of the shadow. On the other side of the record, ‘Gunmen With Silencer’ continues to build upon the political theme, but the pace is more in the forefront of things. This track feels like a combining bridge between the A side and B2, where Regis is able to create the sound of military intelligence mixed with his trademark drum work. This is a solid and unique record, where talent and experience is taken in hand in hand, and leaves a bitter taste in your mouth. The Futurist has moved in light speed since the last review, where a lot of things have happened at the same time. Having tracking a lot of records throughout the months of November until now and further on, planned reviews have been postponed because of more regular dj nights as well as obtaining a studio. Getting into production has always been a goal and a motivation for me. Being able to review records that are essential and interesting has always been a way to express myself, as the next step is to create my own music and letting you who read The Futurist obtain it first. There was never a big plan—I will continue to review records and write about other things as well, please enjoy the spring and new reviews will be posted.